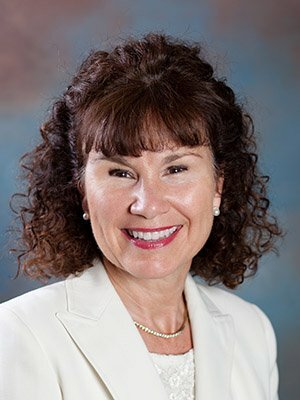 Shelly Kapfhammer is the Long Term Care Specialist for the Tax & Financial Group in Newport Beach. Shelly provides training and education to Financial Advisors, Life Insurance Professionals, Property and Casualty Agents, CPAs, and Attorneys on the importance of Long Term Care in their portfolio. She works closely with the group health market on the need for Long Term Care as a health benefit in the workplace, as well as, affinity groups and associations. Shelly also personally sells Long Term Care insurance to the individual and group market. Shelly began her insurance career in 1995. She has taught continuing education classes for the Orange County Health Underwriters Association (OCHUA), the Orange County Association of Insurance and Financial Advisors (OCAIFA), and the San Diego and Orange County Financial Planning Associations (FPA). She has been a featured speaker for the Association of Life and Health Administrators (ALHA), Newport Beach Chamber of Commerce and Library, the Elder Law Department at Chapman College, and USAA memebers. She also conducts ongoing training for Financial Services Representatives for local banking institutions and Credit Unions. Shelly received her Associates of Arts degree from Saddleback College in 1980 and was a Certified Property Manager (CPM) for a Commercial Real Estate industry for over 10 years before starting a career in the insurance industry. She has received her LTCP designation (Long Term Care Professional), her CLTC designation (Certified in Long Term Care), and has been a CLTC instructor. Shelly has been a guest speaker on the Los Angeles radio station 99.3 KCLA. She resides in Newport Beach and is very active in the support of women business owners and women in sports. Shelly is a member of the American Association for Long Term Care Insurance. She also received her pilots license in 1992.